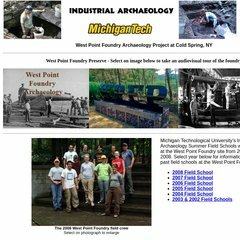 westpointfoundry.org West Point Foundry Research Notes from Field School in Industrial ..
Its local IP address is 141.219.62.38. Its 2 nameservers are dns.mtu.edu, and dns2.mtu.edu. PING wpf.ss.mtu.edu (141.219.62.38) 56(84) bytes of data. A time of 27.3 ms, is recorded in a ping test.